When can a guardian admit a patient to a nursing facility? 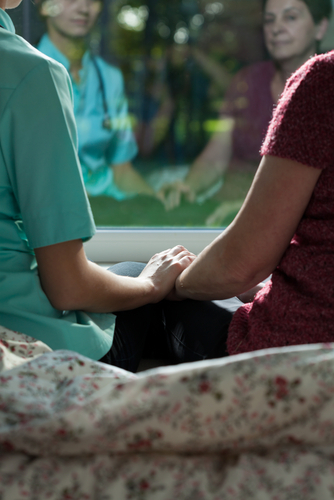 You are here: Home › When can a guardian admit a patient to a nursing facility? After Massachusetts enacted its version of the Uniform Probate Code (UPC) in 2009, guardians no longer had the authority to admit individuals to nursing facilities without explicit authority. Individuals under guardianship who were in nursing homes when the law began could stay in their facilities, but their guardians required additional authority to re-admit the individual if they left (other than to a hospital and back) or to admit the individual to a new facility. In 2012 the guardianship laws changed again, this time relaxing the rule so that an explicit granting of authority for nursing facility admission was no longer needed for some short-term stays. the guardian files the Notice of Intent to Admit to a Nursing Facility for Short Term Services with the court. The notice must also be provided to the facility and given to the individual in hand. Upon receiving the notice the court will appoint an attorney to represent the individual unless one has already been appointed. is licensed or certified as an assisted living residence by the executive office of elder affairs (pursuant to 651 CMR 12.00 et seq.). What happens to my assets if my spouse needs nursing home care?